Generally, for reasons that we needn't explore in this post, I avoid wheat, barley, and rye--the trinity of grains said to have gluten. Alternatives exist. A Chinese novel turned me on to sorghum a few months ago, and now a technology product is reminding me of millet. The latter was something I first tasted while adventuring as a teenager in the Alaskan or Canadian bush. It is no wonder that a Chinese technology company found this name attractive, though its tastiness really has little to do with why the founders of XiaoMi (pinyin for millet) settled on that name for their smartphone startup company. Neither was it because millet is "particularly high in the minerals iron, magnesium, phosphorous and potassium" like, I would imagine, most of their product line is, as well. In fact, according to its CEO, it was named for a "Chinese idiom that calls on fighters to have millet and a rifle on hand to be ready to fight." Well, I am ready to pick up my rifle and harvest my grain! That is to say, I want to put my hard-earned dollars in this revolutionary company. 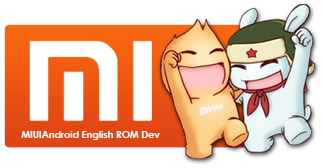 I anticipate getting the Mi3 next month when it debuts for the proletariat. I had a chuckle the other day, because my father got late retribution for the only other time that I have sought to invest in a company. As Google prepared to issue its IPO in 2004, I said, "Invest!" In what is surely the most regrettable lapse in his post-professional career as an investment adviser, he counseled, "Twill be a flash in the pan, son." Could he ever have been more wrong!? We have laughed ourselves to the proverbial poorhouse in the intervening years. Part of my enthusiasm for XiaoMi now is the lovers' quarrel (or long-time employment discussion) that has landed Hugo Barra as the new head of global for the Chinese company. A bold hiring move, one hopes that he can execute a global roll-out that will not make my intended purchase of a phone that is now sold, marketed, and presumably serviced only in China, as infuriating for a repatriated American as attempting to fix an iPhone was for an expatriated one. It is not just the phone, but their customizable Android system on steroids that has caught my attention. I needn't detail its features. The companies own website does a good job in the King's English, which is to say they seem to have invested in avoiding a Chinglish website or marketing materials. My greatest concerns stem from nasty, largely unsubstantiated rumors that it is like nearly every other large Chinese, North American, and Korean technology giant. In other words, some feel they have built their mystique and their company on the pilfered intellectual property of others. Somewhat enamored and starry-eyed, perhaps, and guilty of cognitive dissonance, I cry out in their defense, "Who cares!?" It is a dog-eat-dog, brave new world out there and if they can take a chunk out of the rotten apple, I will be sitting in the skybox watching as the Chinese company that pretends to be American gets shredded by an upstart from the real China. The intellectual property wars will not resolve any time soon, but what must happen in this sector is an end to the disgusting planned proliferation strategy of King Apple and its competitors. That scourge of a company has marketed-to-death and bludgeoned a willing public into getting an iThis and an iThat of every shape and description when most of us regular folks--the proletariat, the opiated masses who stare blindly into their screens on the subway--would be best served owning just one product. The price point and professed business model of XiaoMi makes me think that planned proliferation is not their ultimate goal. The landfills (and I) will be grateful if that is true. A wide range of glowing articles and reviews are encouraging me to go down this road. I just hope I get a chance to invest.